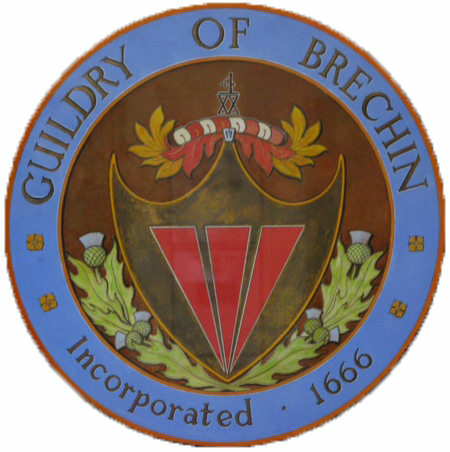 The Guildry Incorporation of Brechin was formed in 1629 by “a number of merchants and maltmen”, traders within the Burgh, and in 1666 the Incorporation obtained official recognition of its rights under Decree of the Convention of Burghs. Guilds, including the crafts of the Hammermen, Glovers, Shoemakers, Bakers, Weavers and Tailors, flourished for a couple of centuries but have now ceased to exist. The Guildry Incorporation of Brechin is, however, still very much alive. Although its ancient functions have lapsed, it has taken an active part in the civic and social life of the community for more than 3 centuries and it continues to do so. • the Guildry Dinner in the Mechanics Institute on the first Friday in December. 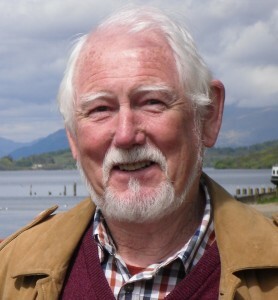 Any heritable assets that the Guild may have held have long been subsumed under the “Brechin Common Good Fund” which, since regionalisation in the 1970s has been under the control of Angus Council. The Guild’s sole income is from members’ annual subscriptions. • an annual travel award to assist young locals to travel abroad on educational or other worthwhile projects. Over recent years the destinations have included Belgium, India, Sri Lanka, Romania, Nepal, France, Canada, Australia, Indonesia, Honduras, Cuba and the U.S.A.